Artem Tkachenko was flying his drone over a beach in the Bahamas, capturing on camera the picturesque scene with pristine turquoise water. Moments later, his screams may have saved the life of a boy. As the drone was hovering above the beach, the camera captured a boy in green swim trunks running into the ocean. 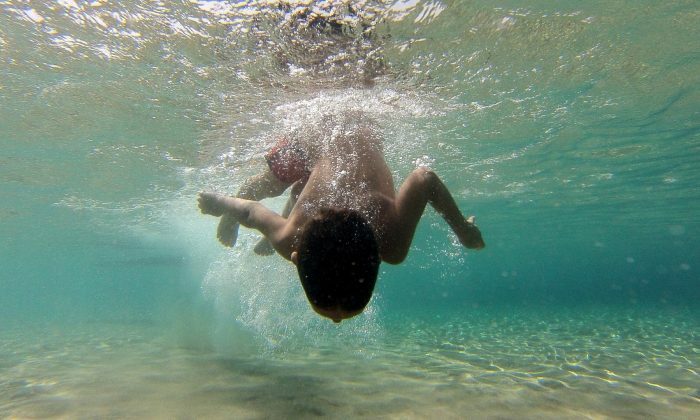 The boy swam and frolicked in the water but after a while, Tkachenko spotted something approaching him. It was a school of sharks. One shark entered the camera’s field of view, followed by three more. The first shark was heading in the boy’s direction. “Run! Run!” Tkachenko screamed, Inside Edition reported. The leading shark was perhaps 7 feet away before the boy scrambled out of the water. At least seven people were bitten by sharks in the Bahamas in 2017, based on reporting by TrackingShark.com. 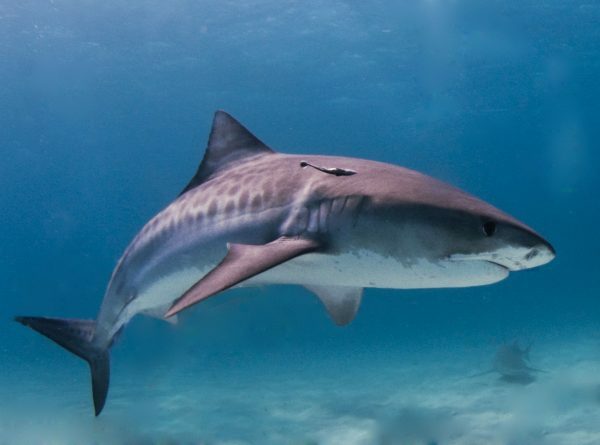 “Shark populations in this part of the Caribbean are thriving,” Dive Magazine wrote, noting six shark species living in the region: bull sharks, lemon sharks, tiger sharks, great hammerhead sharks, Caribbean reef sharks, and whitetip sharks. Based on available media reports, nobody has been killed by a shark in the Bahamas since 2014, when Texas chiropractor John Petty disappeared during a shark dive. An extensive search by the Bahamian authorities and the U.S. Coast Guard turned up dive gear with shark bites, Longview News-Journal reported. Shark diving and shark feeding is a multi-million dollar industry in the Bahamas. The Bahamas Dive Association complained Petty’s death hurt the industry’s reputation even though his dive was organized by a Florida-based company. “So they pull up their anchor and go back home to South Florida and we are stuck with the negative publicity,” said Neal Watson, president of the association, according to Tribune242. Though deadly attacks are rare, the injuries can be serious, like an incident in June 2017, when a shark bit off a woman’s hand and forearm as she was snorkeling by Bahamian Athol Island.